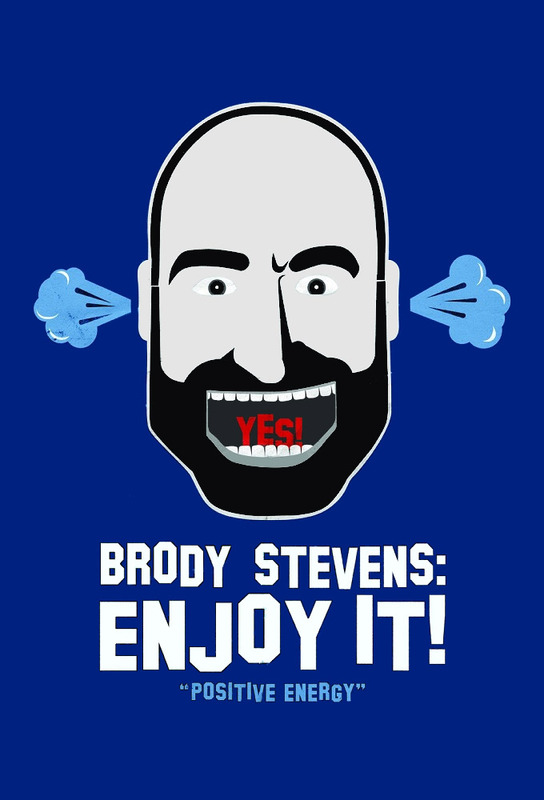 Originaltitel: Brody Stevens: Enjoy It! Brody attempts to reconcile with his estranged sister in time for their mothers 80th birthday. Brody decides to stop taking his medicine cold turkey and experiences a manic episode which affects his family and friends. Brody decides to apologize to Chelsea Handler for blowing up at her crew and walking out on his job at her show. Brody talks about being bullied as a kid, and lands a date from an online profile he filled out with his mom. Zach encourages Brody to take acting and improv classes to sharpen his skills, and Brody opens up about getting cut from Judd Apatows film Funny People. Brody gets ready for a stand-up appearance on Conan. Brody goes to a hypnotherapist to help him overcome his facial dysmorphia issues; then hires a matchmaker to help him get chicks. Brody crashes the Hangover 3 premiere and reconciles with an old friend. Tension mounts with his crew over his pot use, angry outbursts and their fears that he will have another manic episode. Brody and Teina revisit their old neighborhood on the way to mounting a live reunion show. Brody goes to Boston to shoot his half-hour Comedy Central special and interviews 17 other comics. Brody dates a new woman, takes a trip to Miami, and throws a rooftop birthday party.